Boca Raton FC have signed Ukrainian International Edmar, the club announced today. The midfielder has been capped 15 times for Ukraine. Edmar will serve not only as a player but as club ambassador for Eastern Europe. He will help identify and develop players from Ukraine and Russia to play in the United States. This will help create a showcase for Eastern European players for American college and professional soccer teams. Edmar will also help open doors to showcase American players in the professional leagues of Eastern Europe. Edmar, 36 featured regularly for Ukraine’s National Team in qualifying for the 2014 World Cup and provided an assist for Ukraine’s opening goal in the first leg of the UEFA qualifying playoff against France in November 2013. Edmar who was born in Brazil, made over 300 Ukrainian Premier League appearances in fourteen seasons. He ranks as one of the all-time leaders in appearances in the league. Edmar is best known for his eight seasons with Metalist Kharkiv for whom he made over 200 first team appearances. 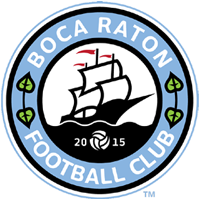 “We’re honored a player of Edmar’s pedigree has chosen Boca Raton FC to continue his playing career. As fans of European soccer are well aware, Edmar brings unique qualities to each and every game he plays in,” said Boca Raton FC President Douglas Heizer. The club will compete in NPSL, APSL and the Lamar Hunt US Open Cup during 2017. The squad is now engaged in preseason training as well as competitive scrimmages every week to prepare for the upcoming campaign. Fans are invited to come to Coral Springs’ Mullins Park every Sunday evening between now and the start of the APSL season to watch Boca Raton FC’s preseason preparations.